Office space renovations are exasperating and exciting when remodeling a current space or relocating to a new space. There may be a demand to design a productive and comfortable office space while maintaining a professional atmosphere. 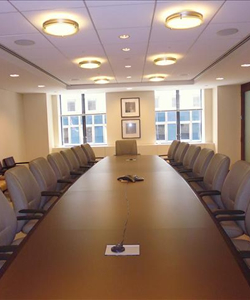 There are commercial remodeling companies in New York City we work with to focus on the needs of your staff and visitors with several office-remodeling trends. Open Concept Office: The traditional layout with many office cubicles in favor of more collaborative open floor office layout. An open layout office place everyone is an exposed area together. The space is uncluttered without many private offices, enclosed cubicles, or partitions. The recent research show an open layout office promote more communication and collaboration between colleagues. Natural Lighting: Recent research show a proof that natural light in the office space is good for performance, productivity, and well-being. Eyestrain and headaches have been attributed to the artificial light in the office as well as poor mood and motivation. If you are redesigning the office layout, consider a layout that does not block off the natural light into the office. Consulting a commercial remodeling specialist can assist in highlighting natural light throughout the office space. Create a Home Away from Home Atmosphere: A comfortable workplace promotes productivity, motivation, and positive mood. New office remodels tend to favor small zones to allocate the conference room, break room, teamwork area, and quiet work area. If you must place partitions or dividers, try using glass or other transparent materials to ensure natural light. Create an Inviting Front Office: If you place an office in the front the space, it will be the client’s first impression of your business. The front office should be inviting, richly colored, and comfortable to match your business’s aesthetic. For a creative business, bright color are ideal as opposed to a conservative that will choose a more neutral color. Choosing the right color for the front office can create dynamic positive energy. The expense on remodeling a space can become costly especially when remodeling goes beyond the standard. Extra cost can be attributed to new air-conditioning units, rezoning concerns, exterior restoration, seismic upgrading, and ADA accessible upgrades. Are you looking to embark on an office remodel? Our brokers, for all types of remodels, can aid in calculating cost and budget to provide the best remodel for your office space. 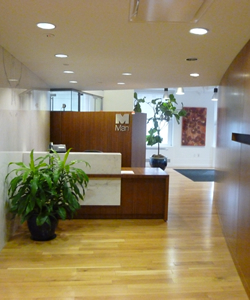 Give a call at no obligation for information on office space to lease or purchase in Manhattan.